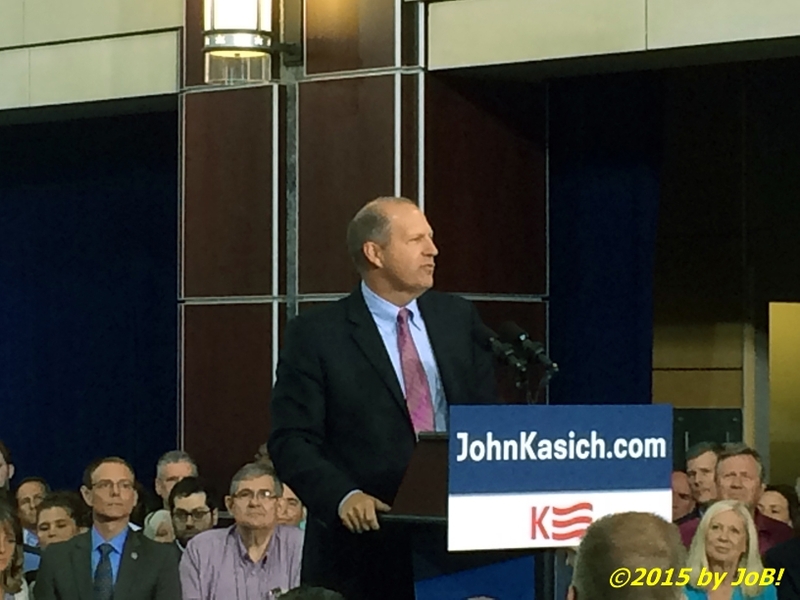 Ohio governor John Kasich addresses the crowd attending his "special announcement" event at the Ohio Union building on the campus of the Ohio State University in Columbus last Tuesday morning. In a 45-minute speech last Tuesday teasingly advertised as a "special announcement", Ohio governor John Kasich became the latest candidate to announce their bid for the Republican nomination for president in the upcoming 2016 cycle. Ending all suspense for the gathering's reason near the 18-minute mark, he said, "I am here to ask you for your prayers, for your support, for your efforts because I have decided to run for president of the United States." He made this declaration from the atrium of the Ohio Union on the campus of the Ohio State University, his collegiate alma mater and the location where he first expressed his desires for pursuing a political future. In this initial televised introduction to many of the voters he desperately needs to gain even minimal traction with in the weeks leading up to the first GOP presidential debate on August 6th in Cleveland, the sitting two-term executive seemed to ramble as he attempted to lay out his reasoning why he decided to run. 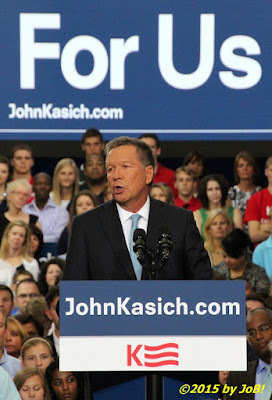 Starting with imagery of the "American dream" national ethos and ending with the "city on a hill" made famous by his personal hero Ronald Reagan, Kasich proceeded to mention numerous anecdotal examples of personal motivating people and events from his life while nearly forgetting to bring up his qualifications to be elected president or what he would do if elected. This is the former nine-term congressman and Fox News Channel host's second attempt at securing the White House with that earlier bid in the 2000 Republican primaries ended prematurely due to poor fundraising. 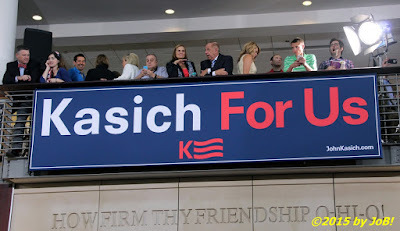 His formal declaration last Tuesday brings the current total of Republicans seeking the party's nomination to 16 (although former Virginia governor Jim Gilmore is expected to announce his candidacy in early August). 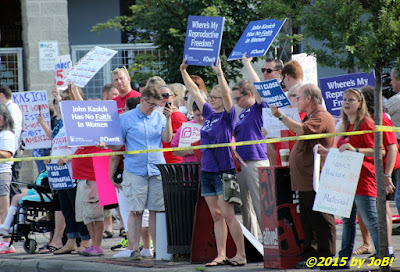 Buoyed by political and economic successes in his adopted home state since winning a close election over the incumbent Democratic governor Ted Strickland in 2010 (and further bolstered by a landslide re-election victory over Ed FitzGerald last November), Kasich believes that he has the experience and the lengthy resume of accomplishments to contend with other fellow "establishment" candidates in the expansive field like former Florida governor Jeb Bush and current New Jersey governor Chris Christie. After a post-event interview with Fox News' Sean Hannity at that Columbus venue, Kasich's first trip as an announced candidate was to Nashua, New Hampshire for a town hall meeting at Rivier University and other locations around "the Granite State", the host of the nation's first primary contests. 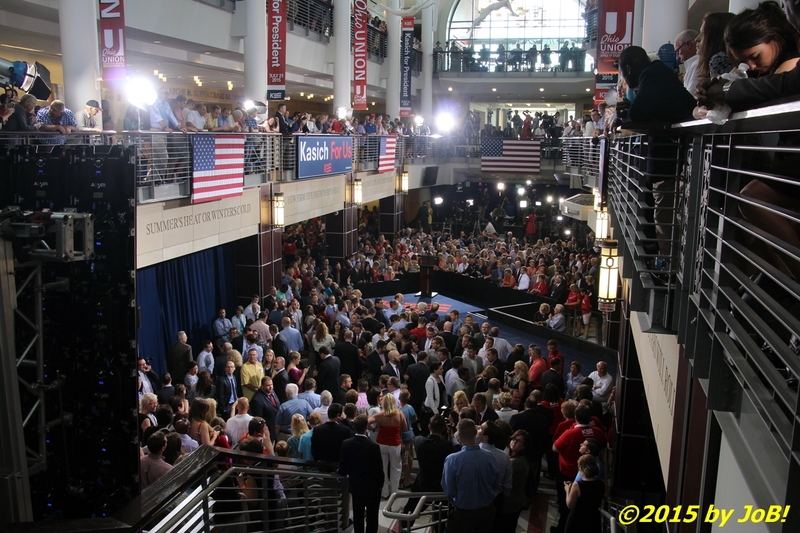 The Ohio State University's Ohio Union was the setting for alumnus John Kasich's "special announcement" event last Tuesday in Columbus. 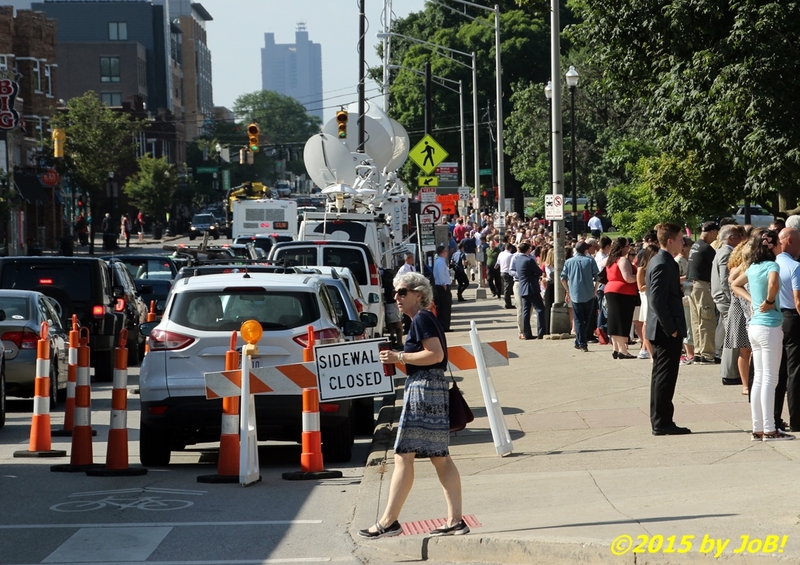 A line formed along Columbus' High Street for attendees for John Kasich's "special announcement" event last Tuesday at the Ohio Union on the campus of the Ohio State University. Protestors formed up across the street from the Ohio State University's Ohio Union last Tuesday for Ohio governor John Kasich's "special announcement" event at the campus' Ohio Union. 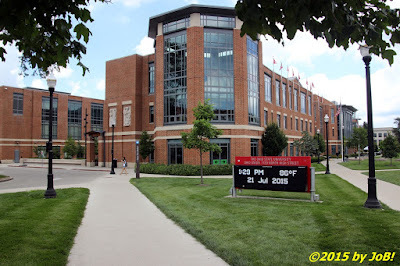 Over 4,000 tickets were requested for Ohio governor John Kasich's "special announcement" event at the Ohio State University's Ohio Union last Tuesday. 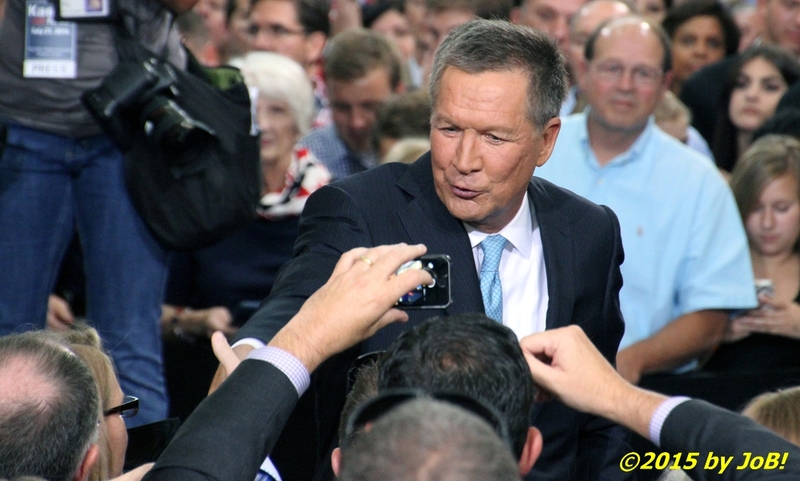 The latest announced Republican candidate for president, Ohio governor John Kasich, shakes hands with supporters at the conclusion of his "special announcement" event last Tuesday at the Ohio State University's Ohio Union. 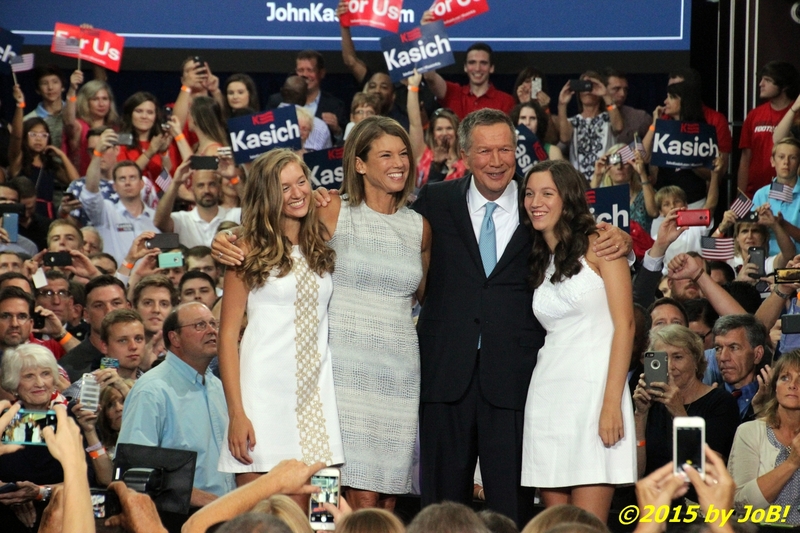 Ohio governor John Kasich (center right), his wife Karen (center left) and their twin daughters Emma (far left) and Reese (far right) stand on stage at the conclusion of the "special announcement" event at the Ohio State University's Ohio Union last Tuesday. 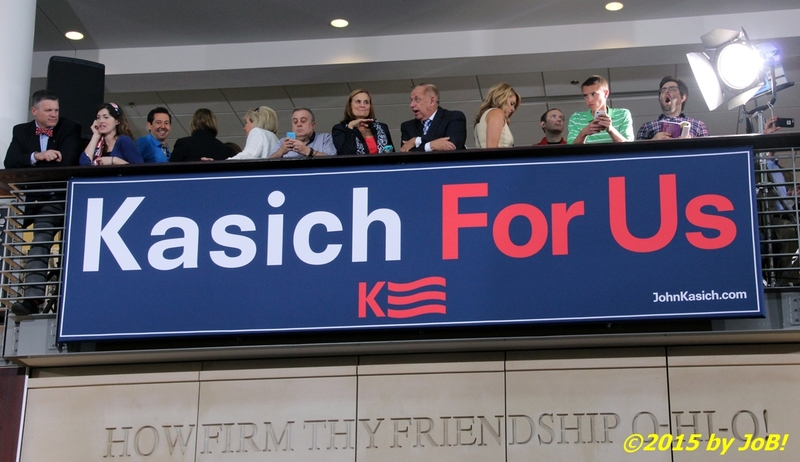 Supporters stand above a John Kasich's poster while awaiting the start of his "special announcement" event last Tuesday morning at the Ohio State University's Ohio Union. 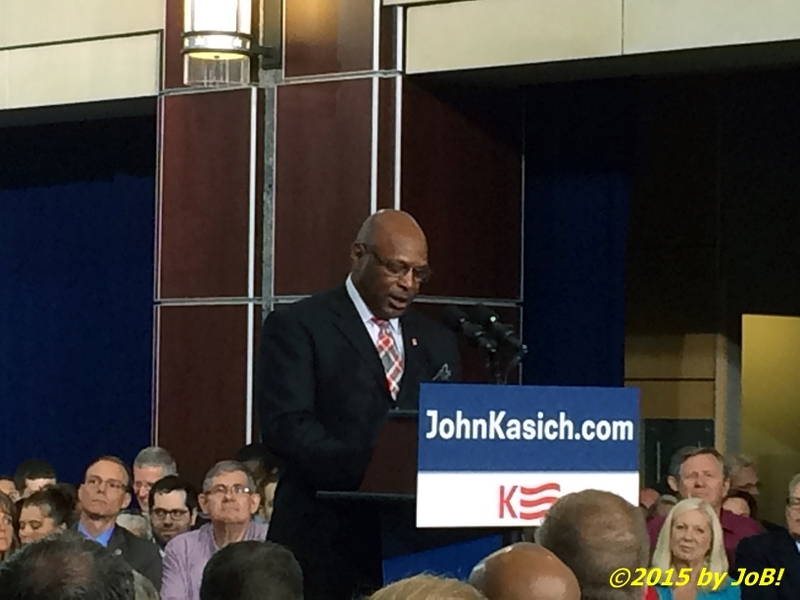 Two-time Heisman Trophy winner and former Ohio State University football great Archie Griffin reads prepared remarks at the start of the "special announcement" event for Ohio governor John Kasich at the Ohio State University's Ohio Union last Tuesday. 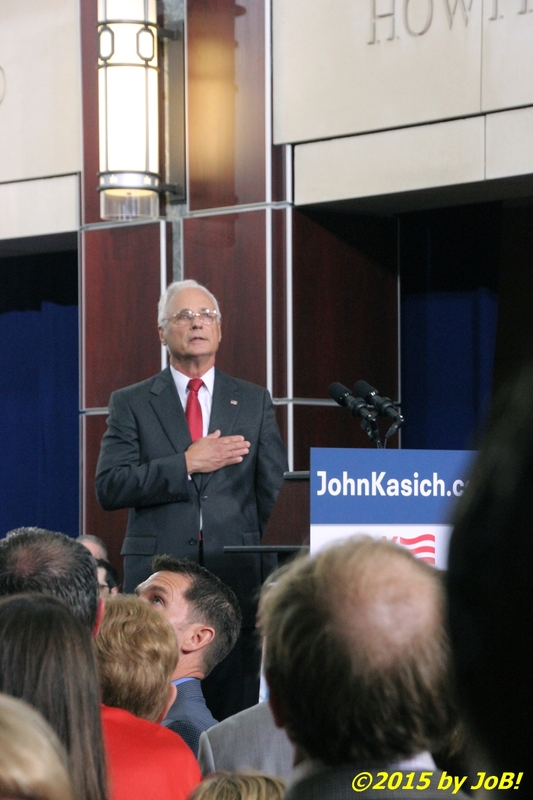 Retired US Air Force colonel Tom Moe, a prison of war for five years during the Vietnam War and former director of the Ohio Department of Veteran Services, leads the Pledge of Allegiance at the beginning of John Kasich's "special announcement" event at the Ohio State University's Ohio Union last Thursday. Former US Senator John E. Sununu of New Hampshire speaks to the crowd gathered for John Kasich's "special announcement" event at the Ohio State University's Ohio Union in Columbus last Tuesday. 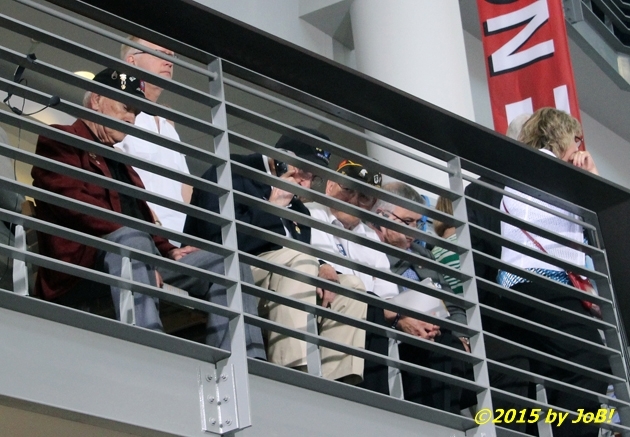 Veterans of the Korean and Vietnam wars await the start of Ohio governor John Kasich's "special announcement" event at the Ohio State University's Ohio Union last Tuesday in Columbus.